When it comes to your home’s siding, you want a product that offers all-around value. Not only does it have to look great, to maintain your home’s curb appeal and aesthetic appearance, but it also has to be strong enough to stand up to anything Mother Nature can throw at it. For the most durable home siding in the Omaha, Nebraska, area, turn to Elite Exteriors for a wide selection of fiber cement siding. 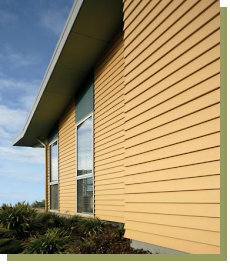 Fiber cement siding is among the strongest exterior cladding products on the market. Crafted from a combination of sand and cement, and reinforced with cellulose fibers, it is incredibly impact resistant and can withstand wind, hail, driving rain, and other harsh weather conditions. Fiber cement siding has also been proven to resist warping, rotting, and other kinds of deterioration, so you can be confident that it will look great for many years to come. Furthermore, unlike vinyl or wood siding, fiber cement is naturally flame resistant, making it a safer choice for protecting your home in the event of a house fire. If you’re looking to outfit your home in Omaha or another nearby community with durable siding, don’t delay – contact Elite Exteriors today. We would be happy to answer any questions you may have about our wide selection of fiber cement siding, what you can expect during the installation, and how we can help you protect your home for years to come. Let Us Help With Your Next Siding Project!